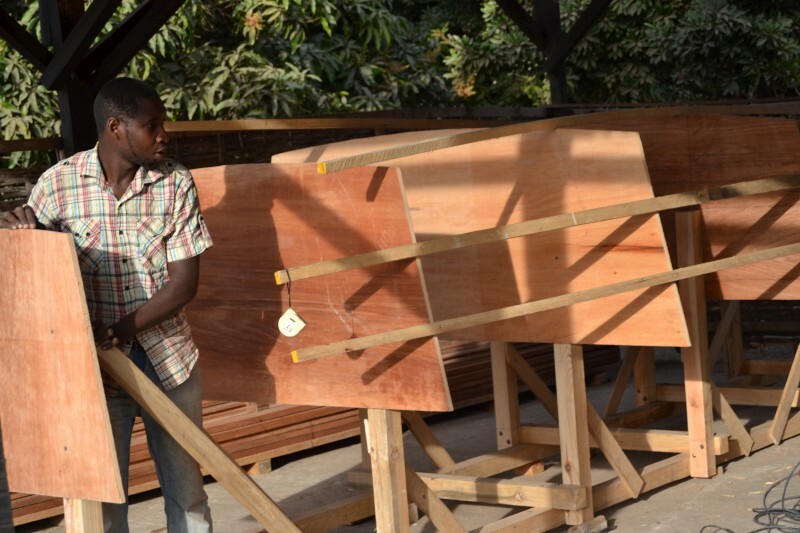 The boatyard company GIANIPA started its activity in 2009 with the construction of the “Sirène du Saloum”, a 31ft marine plywood catamaran, and two smaller vessels, which were built in Ndangane by a local team with the technical assistance of BCA-Demco. 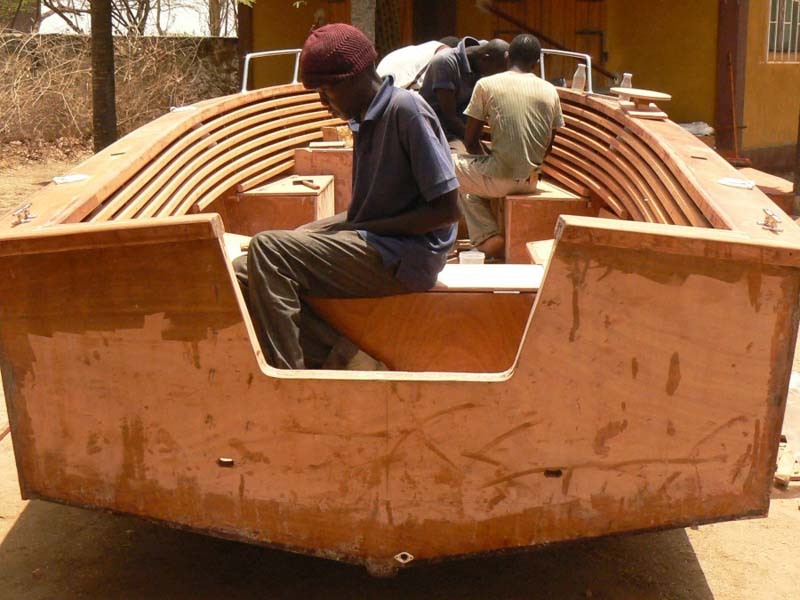 This experience, which took place 4 months for the construction permitted local staff, who already had a good expertise in traditional furniture construction, to become familiar with modern techniques that are based on the use of marine plywood and the epoxy resin, which allow to obtain at parity weight, much stronger, more rigid and much better performance of traditional boats. After this first construction, the shipyard has built two other boats with the “strip planking” construction technique, a modern construction system for wooden hull based on wooden stripes glued with epoxy resin. 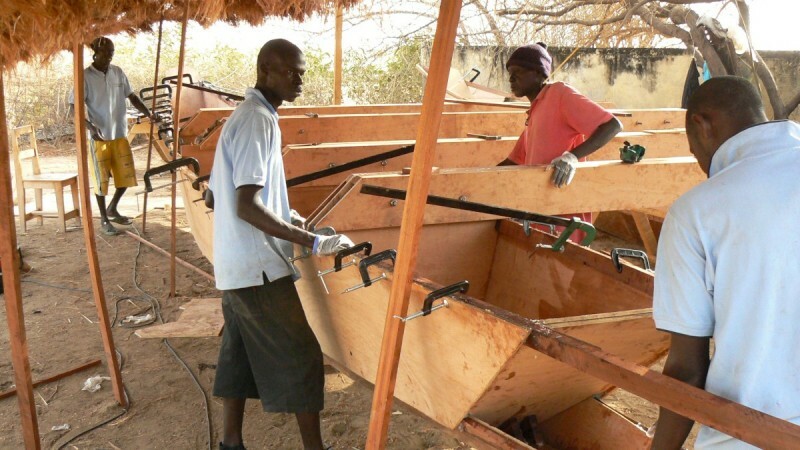 In 2011 the boatyard was transferred to Bambilor near Sangalkam, 20 km east of Dakar, where the activity continued with the restoration of some fiberglass power boats, which allowed the staff to expand their technical knowledge. 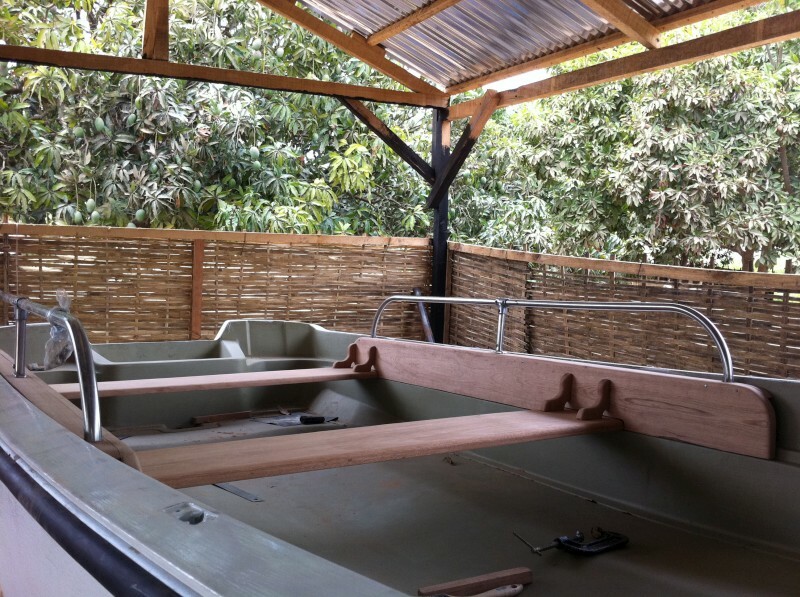 Today the boatyard is able to indipendently produce modern wooden boats with different techniques, seeking assistance -BCA Demco only for the most important achievements and aspects concerning the project. 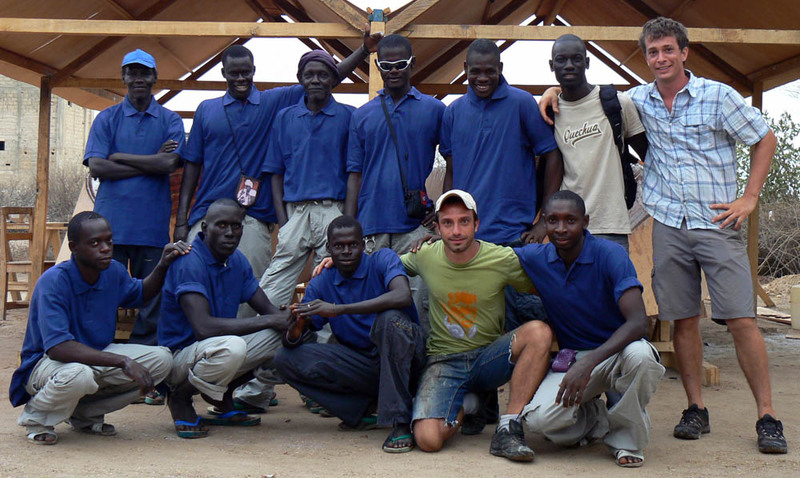 The six people who work at the boatyard are the same people who started with the construction of the Sirene du Saloum as the two Italian technicians who provides training and technical assistance during their occasional visits. Thanks to the positive collaboration between the Gianipa’s staff and BCA Demco and to the successful achievements the boatyard offers today the opportunity of building medium size boats with good standard of quality and finishing at very competitive prices. 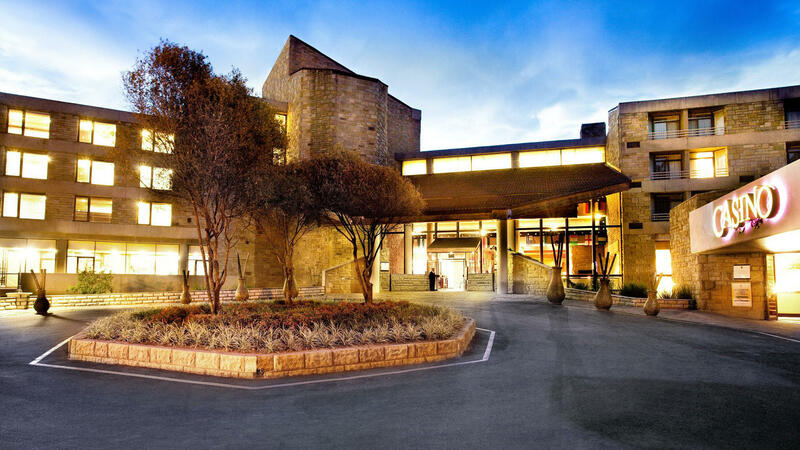 The use of modern and efficient material provides strength and durability much higher than those obtainable with traditional wood construction. These techniques minimize the maintenance required for the boat providing a high quality product. If you look for a new boat we can make you an offer for either the project and construction. 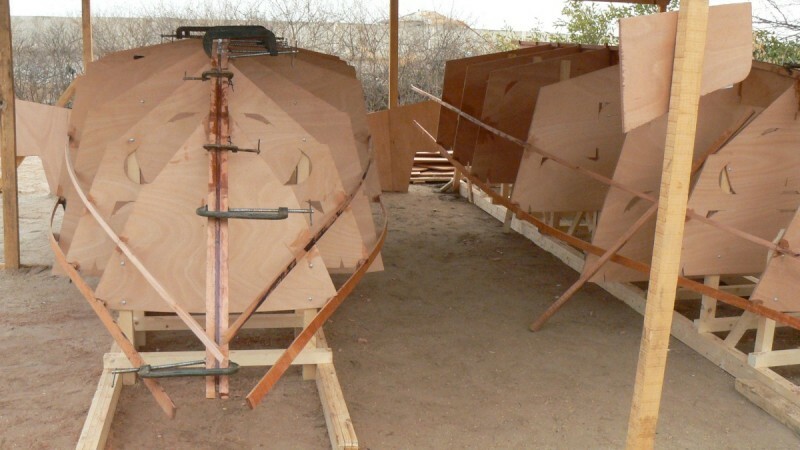 If you have to repair or restore a boat we are capable of working on plywood, wood or fiberglass boats. If you are looking for a used boat we can give you our advice and try to find it on the market (Senegal and Europe) we can also make inspections and technical checks on the boat. Our interest is not limited to recreational craft and we will be happy to consider your requirements or queries regarding your fishing, transportation or work boats. 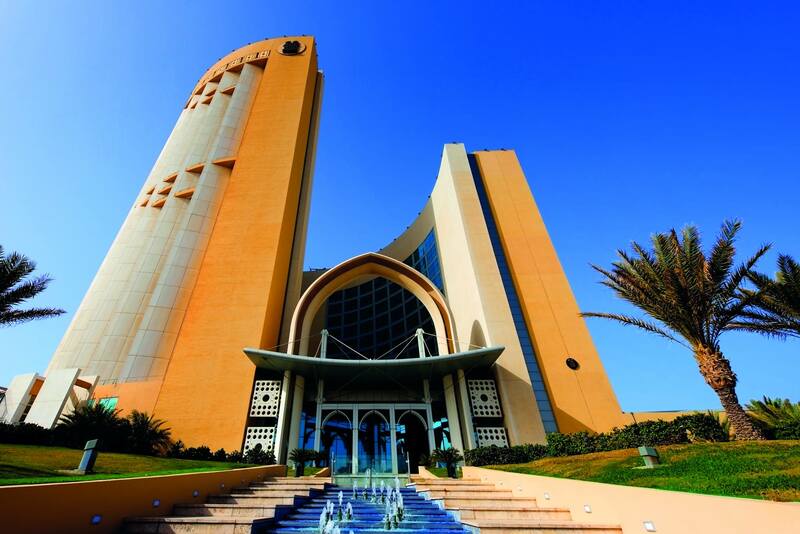 For all these services GIANIPA can count on the experience and know-how of BCA-Demco and on the technical assistance of its staff.